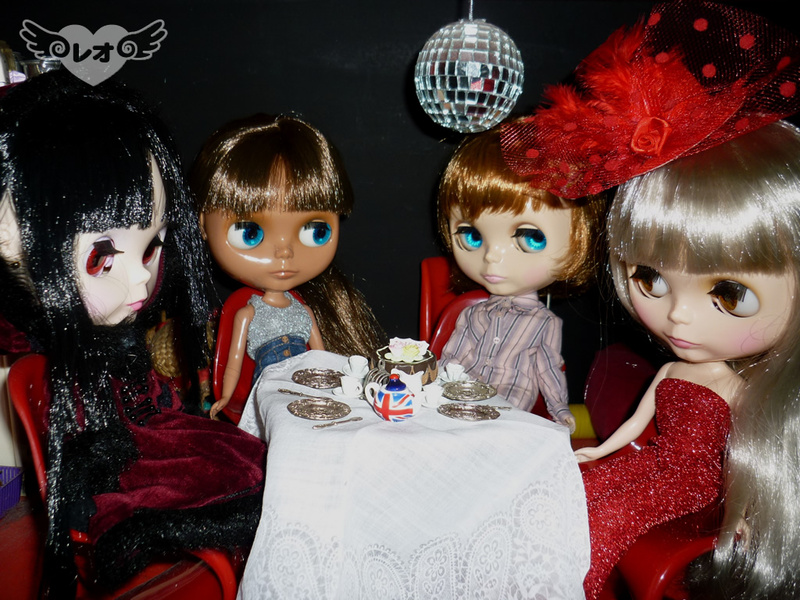 Dolls with ATTITUDE: Happy Birthday, Strawberry!! To celebrate her 3rd birthday at the dolls place, and as a welcoming party for the new tenants, Strawberry gave a tea-party also to use her new Union Jack teapot for the first time. I think Yuuko-san ordered the cake to the talented Watanuki, but the "Happy Birthday" sign is Japanese! Para comemorar o seu 3º aniversário na casa das bonecas, e como festa de boas-vindas às novas inquilinas, a Strawberry deu um chá também para estrear o seu bule com a Union Jack. Acho que a Yuuko-san encomendou o bolo às mãos talentosas do Watanuki, mas o letreiro a dizer "Parabéns" está em japonês!